GST (Goods and Services Tax) is one indirect tax for the whole nation, which is meant to be a unified indirect tax across the country on construction services and will make India one unified common market. The present structure of Indirect Taxes is very complex in India. There are so many types of taxes that are levied by the Central and State Governments on Goods & Services. It has been long pending issue to streamline and subsume all the different types of indirect taxes and implement a “single taxation” system called “GST”. Implementing the GST will ease the compliance, uniform the tax rates and structures, remove the cascading effect of taxes levied by States & Centre, will improve the business competitiveness and will benefit everyone doing trade in some or the other form whether as a contractor or as a developer. In the current system in India, tax is levied at each stage separately, by the Centre and the State, at varying rates i.e. 10.5% / 6% / 4.5% for service tax and different rates by different States, on the value of construction services. But under the GST system that is set to be introduced, tax will be levied only on the value added at each stage by the sub‐contractors, main contractors and developers or builders. It is a single tax collected at multiple value additions with a full set‐off for taxes paid earlier in the value chain by sub‐contractors and main contractors. It is pertinent to note that the inter credit of different taxes paid in the current regime be a service tax, VAT, CST, etc. to Centre or States are not allowed and thus becomes a part of the cost on the suppliers. Thus, under GST the final buyer / client will bear only the GST charged by the last person i.e. developer or builder or the contractor. In India, a dual GST is proposed whereby a Central Goods and Services Tax (CGST) and a State Goods and Services Tax (SGST) will be levied on the taxable value of every transaction of supply of goods and services. The Dual GST is expected to be a simple and transparent tax with one or two CGST and SGST rates. The structure of the model law comprises of CGST Act, SGST Act and IGST Act. The dual GST model would give adequate flexibility to the States to levy taxes on a comprehensive base of goods and services at all points in the supply chain. Thus, financial liberty of the States would be maintained. GST is a consumption based tax. It is based on the “Destination principle”. GST is applied on goods and services at the place where actual consumption materializes. Inter‐State GST (IGST) – to be levied on inter‐State trade and administered and collected by the Centre. To the extent feasible, uniform procedure for collection of both Central GST and State GST is prescribed in the respective legislation for Central GST and State GST. 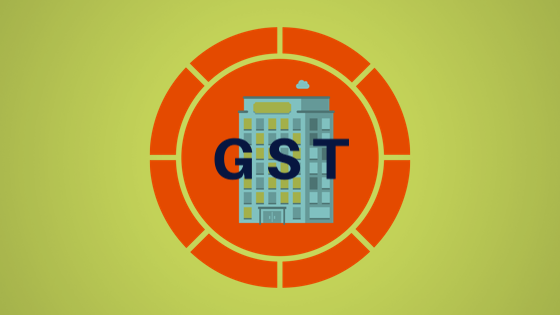 It can be noted that IGST will not be a Tax in addition to the SGST and CGST so one should not presume that IGST is a third tax but it is only a mechanism to monitor the interstate trade of Goods and services and further to ensure that the ultimate SGST is gone to the consumer state since the GST is a destination based tax. Implementation of the GST law will have a positive impact on the Co-operative Housing Society and on the real estate sector with expected reduction in its tax burden. The law will single‐handedly solve many of the challenges faced by the real estate sector. Heavy taxes that are being borne in a non‐transparent manner are expected to be very transparent in GST. It is unclear what would be the rate of GST applicable on construction services, hence it would be difficult to confirm the exact impact on GST on the Co-operative Housing Society. However going by the informal discussion, it is learnt that the rate is expected to be something between 18‐20%, which is what the current rate directly and indirectly being borne by the construction sector. Besides the simplicity in taxation, GST would bring in other advantages like transparency, seamless credits, ease of business by lack of border controls, promoting economic efficiency through a destination based taxation system. Overall Construction costs would be reduced to some extent which would benefit the end consumer. Apart from the advantages, the complexities in the compliance and assessments shall also be greatly reduced as the tax laws would also be unified. There would be lesser burden of tax on purchases of major inputs like cement and steel, as tax credits would be available for set off at various stages which are currently restricted. The restrictions on credit utilization would be eliminated, thus strengthening the credit chain in the system. If this so happens, there will be increased credits available in the procurement chain and hence better utilization of input tax costs towards output GST Liability. Since GST may be levied on a single value, the current issue of levying tax on tax (VAT on central excise duty) is likely to be removed. Hence the cascading effect of taxes shall be removed with the resulting transparency which will significantly reduce tax evasion through more efficient transaction‐tracking methods, and improved enforcement and compliance. Hence the implementation of GST will enhance the investment in Housing Societies & real estate sectors. It is widely expected that GST would reduce the construction cost in the hands of developer and thereby aid in reducing or at least maintaining the current level of prices in the housing societies as well as in the real estate sector.